A view of the intricate stone carving on the cathedral and the pair of towers at the front. 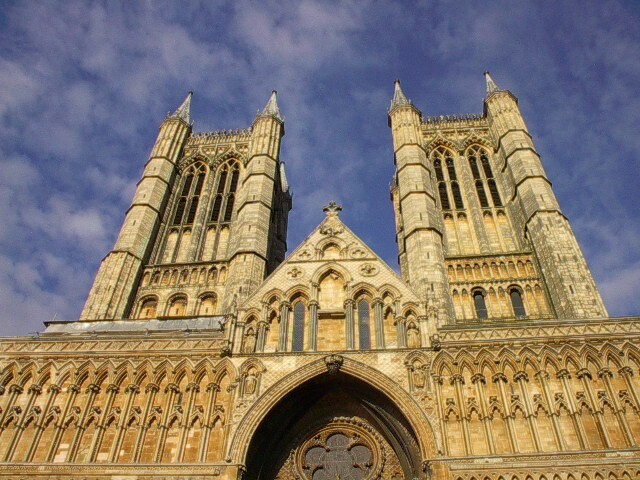 The city of Lincoln in the English midlands is the site of one of the world’s greatest buildings, the Lincoln Cathedral. It was begun at the behest of William the Conqueror in the year 1072. 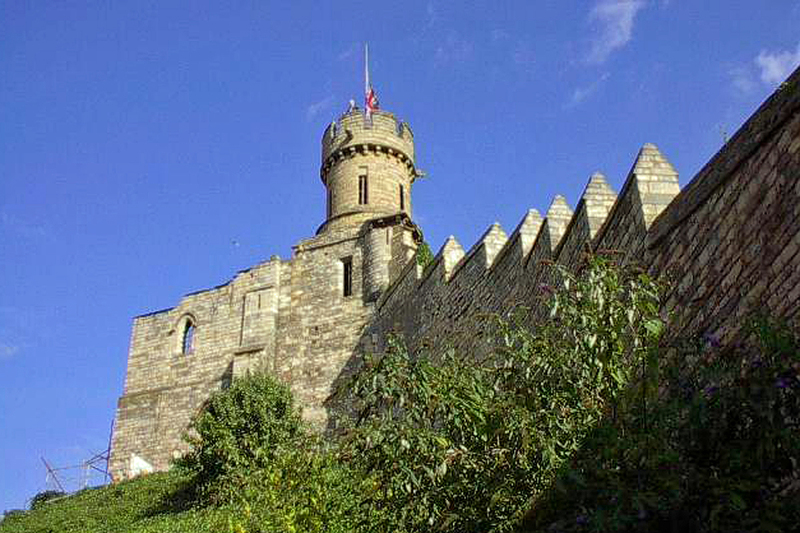 A short distance from the cathedral gate, about three blocks west, stand the remains of the castle that William ordered constructed in 1068. These buildings are on a high hill overlooking the ancient town. On the “High Street” (main street) of Lincoln traffic still crosses a bridge built in the year 1160; houses are built on it too! Throughout the city houses that are hundreds of years old line the streets. The wall that still surrounds the castle yard. The castle is long gone but the wall is a good reminder of what once stood here. This is my third visit to Lincoln. My husband George and I came here at the beginning of our long journey around Europe. We had never seen buildings like these and a city that has been occupied and thriving for 3000 years. A few months later, when circumstances caused us to add a month to our trip, we came back to Lincoln for another week. Without realizing what I was doing, I booked an apartment for this week in the place where we stayed in 2002. The same friendly people still own St. Clement’s Rectory, a large old house containing five really nice self-catering apartments. The location is ideal for exploring the city. 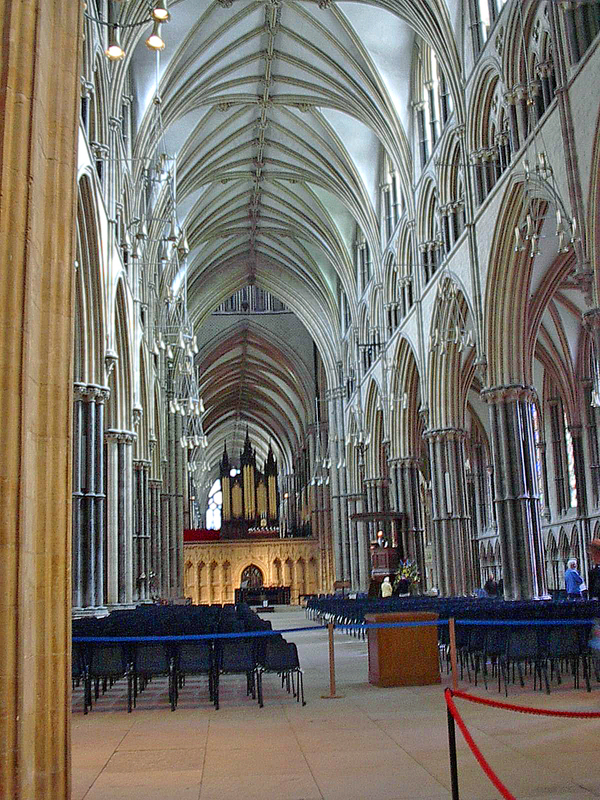 A view of the cathedral nave and organ. The structure extends for probably 100 feet beyond the organ, in three directions. It’s huge! Although I took pictures today I’m using the pictures I took in 2001-02 for this post. The camera quality isn’t great but they are pictures I’ve loved for nearly 15 years and I want to share them here. I love this place! Over the next week I’ll show you more of Lincoln and tell you more about it. Stay tuned! Maybe my luckiest shot ever! 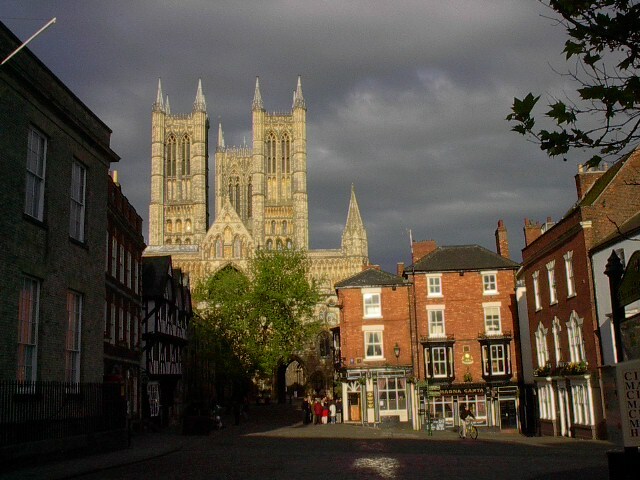 This entry was posted in England, Lincoln by Libbie Griffin. Bookmark the permalink. Wow, I see why you like it!! I have never been anyplace like Lincoln. 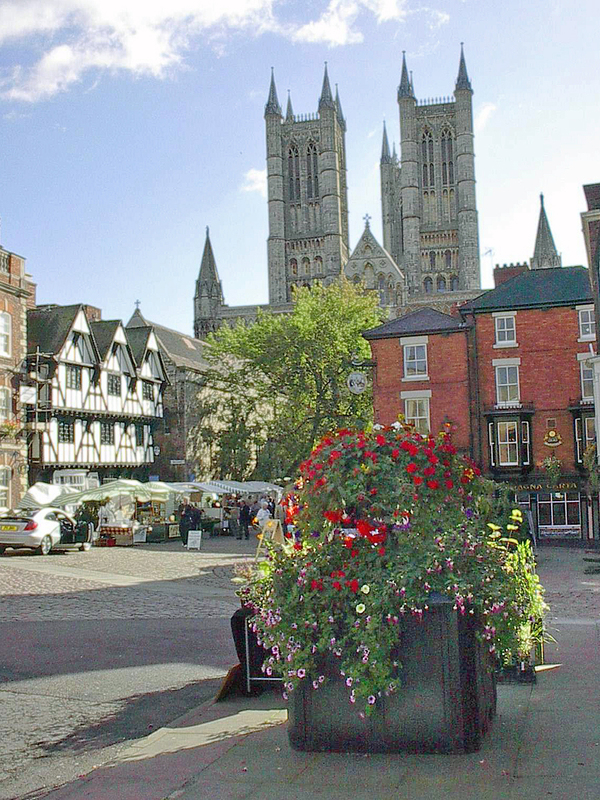 The massive cathedral, the castle begun in 1068, the ancient houses and old fashioned shops and best of all, very friendly people. I could stay here forever!